“Little Free Library of Snowden Farms” (click to expand). A new ‘Little Free Library’ has been dedicated on Snowden Lane in Princeton. 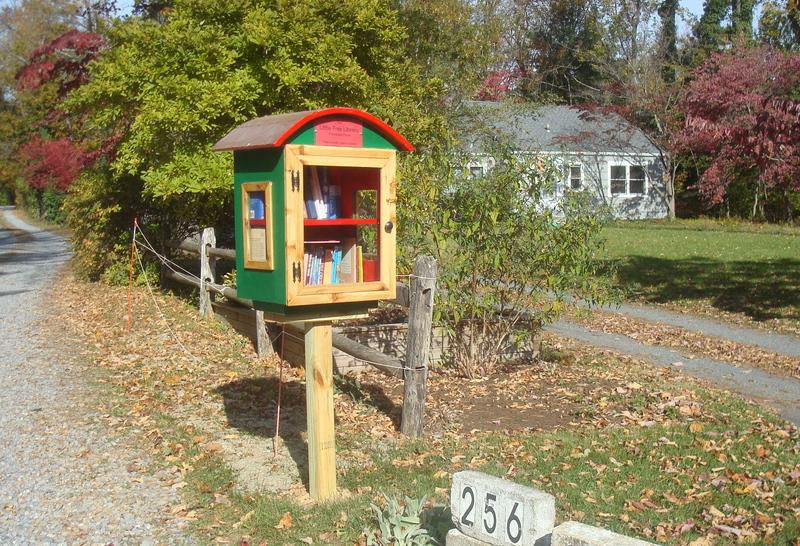 Little Free Libraries are community book exchanges where local neighbors can share books. No membership is required, and people are free to take or drop off books as they like. They are constructed and maintained by residents who act as ‘stewards’. This particular library is a jaunty green and red, and is labeled as ‘Little Free Library of Snowden Farms’. 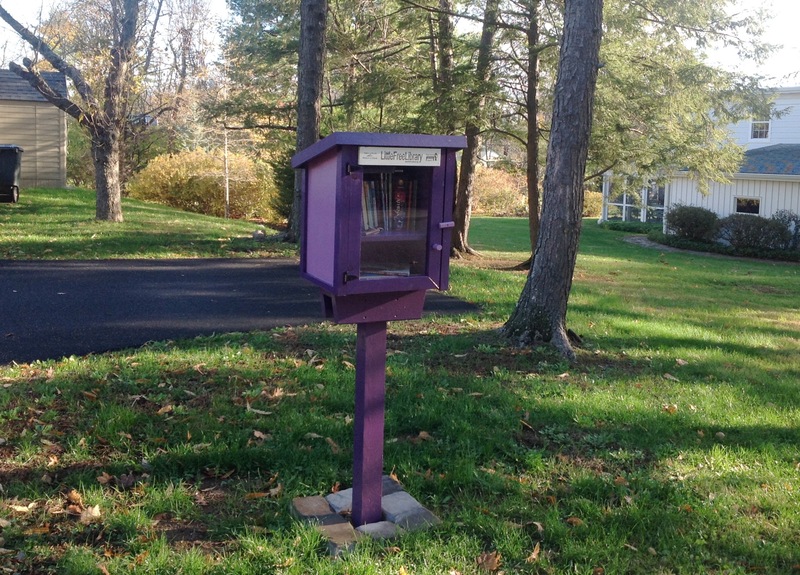 Something about Princeton’s Littlebrook neighborhood seems to attract Little Free Libraries, because just around the corner this cheerful, purple library has popped up on Leabrook Lane! Another Little Free Library at Leabrook Lane and Linwood Circle in Princeton (click to expand). A map showing the locations of all Little Free Libraries can be found at this link. According to the Little Free Library website, over 32,000 libraries like this exist, in all 50 U.S. states and in over 70 countries around the world. The first example of the modern Little Free Library movement was erected by a guy named Tood Bol in Hudson, Wisconsin in 2009. In Princeton, two little libraries appear on the official map. The Snowden library is not shown right now, nor is another on Prospect Ave that we spotted last year. One Little Library also exists in West Windsor, one in Pennington, and another in Lawrenceville. This entry was posted in Placemaking and tagged little free library, Placemaking, Princeton. Bookmark the permalink.